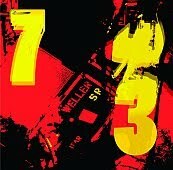 Paul Weller’s New Single "7+3 Is The Striker’s Name" Available For Download! – Paul Weller News! Paul Weller’s New Single "7+3 Is The Striker’s Name" Available For Download! 1 Comment on Paul Weller’s New Single "7+3 Is The Striker’s Name" Available For Download! The brand new exclusive Paul Weller limited edition 1 sided screen printed 7″ single. Limited to 2 copies per customer. Previous Entry Julie Cullen From "The Music Week" on BBC6 Has Heard Paul Weller’s New Album! Next Entry Confirmed Info On Paul Weller’s May 2010 Dates: Royal Albert Hall!